Islamic State group jihadists waged fierce battles Tuesday in their Syrian stronghold Raqa in a bid to repel US-backed fighters advancing towards the walls of the Old City. 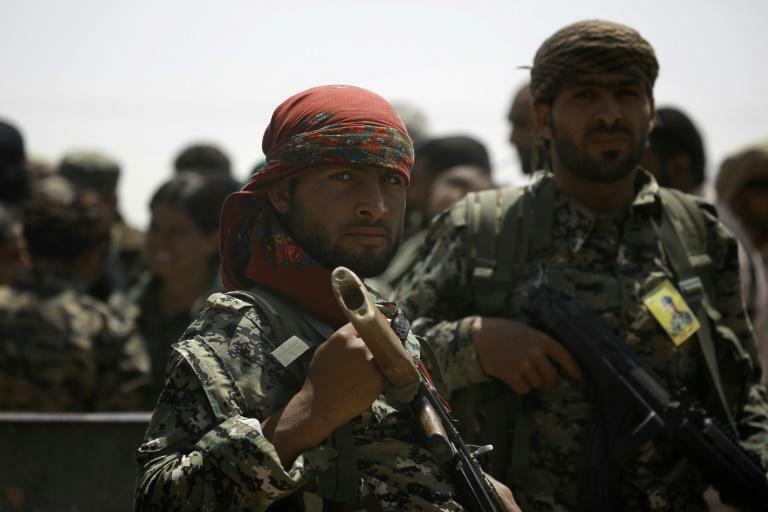 The Kurdish and Arab fighters of the Syrian Democratic Forces (SDF) entered Raqa a week ago, after months of fighting to encircle the northern city that has become a jihadist bastion. Since then, they have seized one neighbourhood in western Raqa and another in the east, where they are now battling to secure control of the Al-Senaa district that leads to the Old City. Jihan Sheikh Ahmed, spokeswoman for the SDF campaign for Raqa, said the jihadist group was putting up stiff resistance. "There is fierce fighting against Daesh which is making heavy use of mines and snipers and sometimes car bombs," she told AFP, using the Arabic acronym for IS. She said clashes in Al-Senaa were continuing on Tuesday. The Syrian Observatory for Human Rights monitor also reported heavy IS attacks against SDF fighters in the area. "The district is not yet completely secured because of the repeated jihadist attacks," the Britain-based group said. Observatory director Rami Abdel Rahman said the capture of Al-Senaa would be the SDF's "most important advance in the battle for Raqa because it brings them to the centre of the city." "The main battle for Raqa will take place in the city centre," he said. He added that a large number of IS fighters were holed up in the Old City, where the jihadist group is also believed to have dug tunnels to facilitate their defence of the area. Since entering Raqa on June 6, the SDF has captured the eastern neighbourhood of Al-Meshleb, as well as Al-Rumaniya in the city's west. It is now battling to push from Al-Rumaniya into the neighbouring Hatin district. The SDF has yet to enter the city from the north, but on Monday captured a military base and adjacent factory after days of clashes and heavy air strikes by the US-led coalition against IS. It became infamous as the scene of some of the group's worst atrocities including public beheadings, and it is also thought to have been a hub for planning attacks overseas. Tens of thousands have fled from the city and its surroundings since the SDF announced the operation to capture Raqa in November. The UN refugee agency said Tuesday it estimated that more than 430,000 people were in need of assistance across the province. 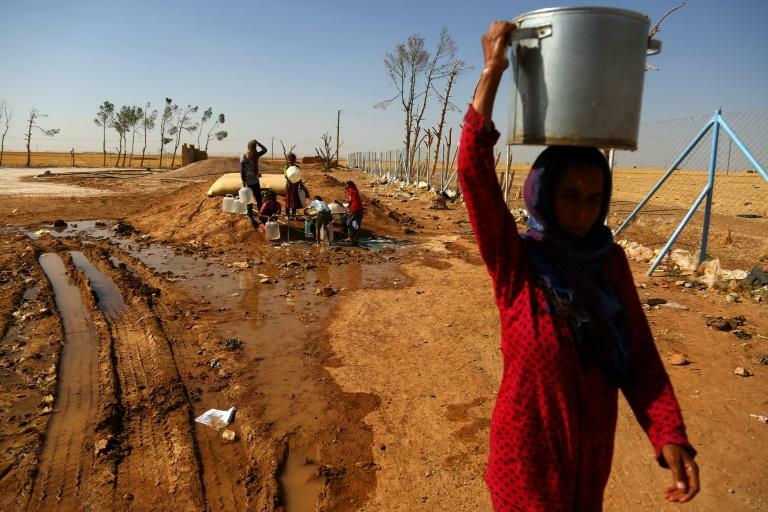 The UN estimates around 160,000 people remain in Raqa city, where conditions have deteriorated, according to activists. Civilians also risk being caught in the crossfire, with nearly 90 killed in the city, including 18 children, in the week since the SDF entered, according to the Observatory. Others have been killed or wounded trying to flee the city, either by IS fighters or in air strikes by the US-led coalition. Human Rights Watch on Tuesday called on the SDF and the US-led coalition to protect civilians and respect human rights as they press their offensive. They urged parties to the fighting to take "all feasible precautions to avoid civilian casualties", as well as respect detainee rights and provide safe passage for fleeing civilians. "The battle for Raqa is not just about defeating ISIS," said HRW deputy Middle East director Lama Fakih, using an alternate acronym for IS. "Coalition members and local forces should demonstrate concretely that the lives and rights of the hundreds of thousands of civilians in Raqa are a parallel priority in the offensive." Syrian government forces are not involved in the battle for Raqa, but they are advancing in an area southwest of the city, skirting around SDF fighters. On Tuesday, they seized nine villages and IS positions south of the city, the Observatory said. Government forces are hoping to secure eastern Aleppo province which neighbours Raqa from IS counterattack, but also to advance towards IS-held Deir Ezzor province east of Raqa.